The "Ghirardi Compton Oak" has been a piece of League City's history for over 100 years. Named after the Italian immigrant on whose land the tree first sprouted, this "Bonsai" tree stands 56 feet tall, has a canopy that is over 100 feet wide, and is 135 inches around. It also weighs an incredible 518,000 pounds. 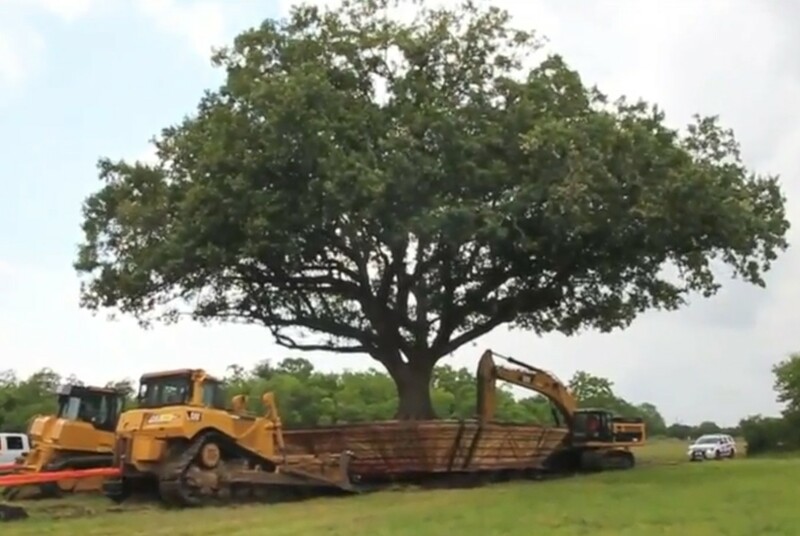 A county road widening project put the future of the Ghirardi Oak in jeopardy. Council voted to use park dedication funds to move the majestic oak. Approximately two months after the Ghirardi Compton Oak was transplanted, the tree began showing stress by defoliation. This is a normal post-relocation response, and a few days later, the tree stopped defoliating. Shortly after the tree stopped defoliating, Hess Landscape Construction and the City’s arborists observed new bud formation and good fibrous root growth. Congratulation to the League City on this fine and worthwhile project! Check also this BonsaiBark article for more in depth Bonsai analysis.